A new Caribbean edition of Shakespeare's "The Tempest" published by Harper Collins this month (December 2017) has revealed a surprise connection between two West Norfolk enthusiasts. Heacham shopkeeper John Wallis and Sedgeford author Gareth Calway were discussing Gareth's latest publication when they realised they had a common interest in a sea-storm not only made famous by Shakespeare but which is also the story behind the Heacham village sign. It is a story even Shakespeare might have struggled to invent, a true story of true love between a man from Tudor Norfolk and a native American - Pocahontas. It ends with the arrival in England of the famous Pocahontas. But it begins with that storm. Here is John Wallis's take on the tale. 'John Rolfe was born in Heacham in 1585. In his early 20s he set out with his wife on a journey that has rippled through history. In May 1609 they boarded the Sea Venture the flagship of a convoy of 500 settlers bound for new lands to help establish, ultimately, as William Kelso writes "where the British Empire began" the first successful English colonisation of Jamestown, Virginia in America, where the first ships had arrived just two years earlier. It was a journey that almost ended in total disaster, in July the Sea Venture encountered a massive hurricane that scattered the fleet and saw her run aground just off the islands of Bermuda. It was the story of this shipwreck that inspired Shakespeare's The Tempest in 1610/11. All of the Sea Venture's 150 passengers and crew safely reached shore and salvaged much of the ship’s supplies for what would be a 10-month stay. While on Bermuda, Rolfe’s wife gave birth to a daughter who was christened Bermuda, but the child died there. Rolfe’s wife also died. By the spring of 1610 the survivors had made two smaller ships from cedar trees and salvage from the shipwreck naming them Patience and the Deliverance and continued their journey reaching the Chesapeake Bay after 10 days sailing. John Rolfe and his fellow survivors founded a colony struggling to make profits for the Virginia Company. By 1612 Rolfe hit upon the solution - Virginia tobacco! The future of the colony was secured. In 1613 Pocahontas, “dearest daughter” of Chief Powhatan, was kidnapped and brought to Jamestown to be traded for English prisoners and weapons that Powhatan held. That exchange never took place. Shakespeare died the year Pocahontas arrived in England and had retired from the theatre by 1613 but he had by then made a magical story of the already quite fabulous real events of 1609. Here (without any previous consultation) is how Gareth approaches the same events in his study guide for the new edition of the Tempest. 'Many strange and wonderful stories of the wreck were published: at first of the crew’s drowning and later of their 'miraculous' survival and what happened to them ashore. Shakespeare would have heard these among the many stories that were always being brought back by sailors and travellers to the bustling city of London. For Shakespeare's audiences, sailing to the New World would seem as exciting and unknown as space travel is today. 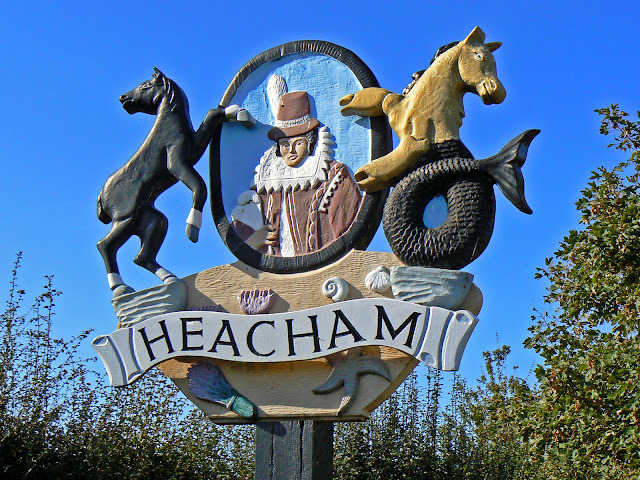 Heacham is the largest village in England and, in its incorporation of a native American figure at its centre, may also claim to have one of its most unusual and cosmopolitan village signs. John Wallis is an informed enthusiast of Heacham's history and heritage and especially on the Pochanontas story. His family business AE Wallis Cycles and Electrics was established by his father in 1939. 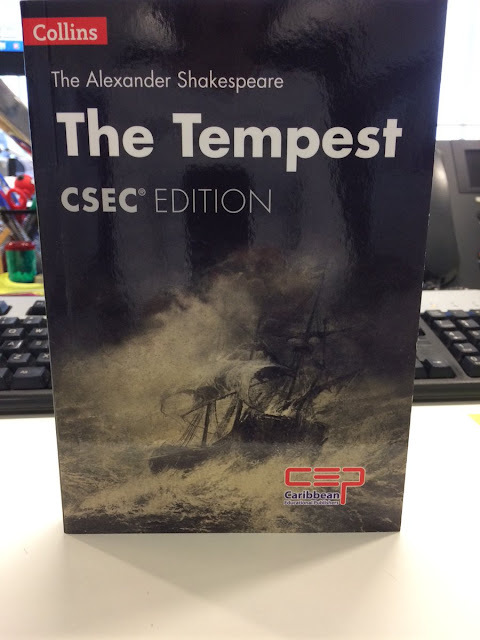 Gareth Calway, a former Head of Department at KES in Lynn and Smtithdon High School in Hunstanton, taught the Tempest at 'A' Level and later examined it for the Cambridge Examinations Board. His aim with the new edition was to provide a clearer guide than the ones that made his own study of it at A level more like surviving a shipwreck than plain sailing!